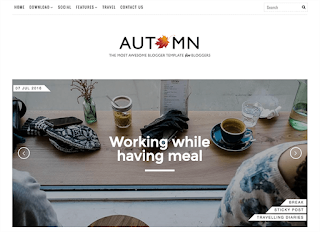 Autumn Personal Blogger Template is among one of the finest Blogger Templates curated by OddThemes with their professional skills of development and designing best blogger templates. This template has a Featured slider which also supports videos, it has a premium design with clean & elegant looks. It is a 100% responsive blogger templates design to help your readers to gain access to your website on any device. This is a very lovely template!